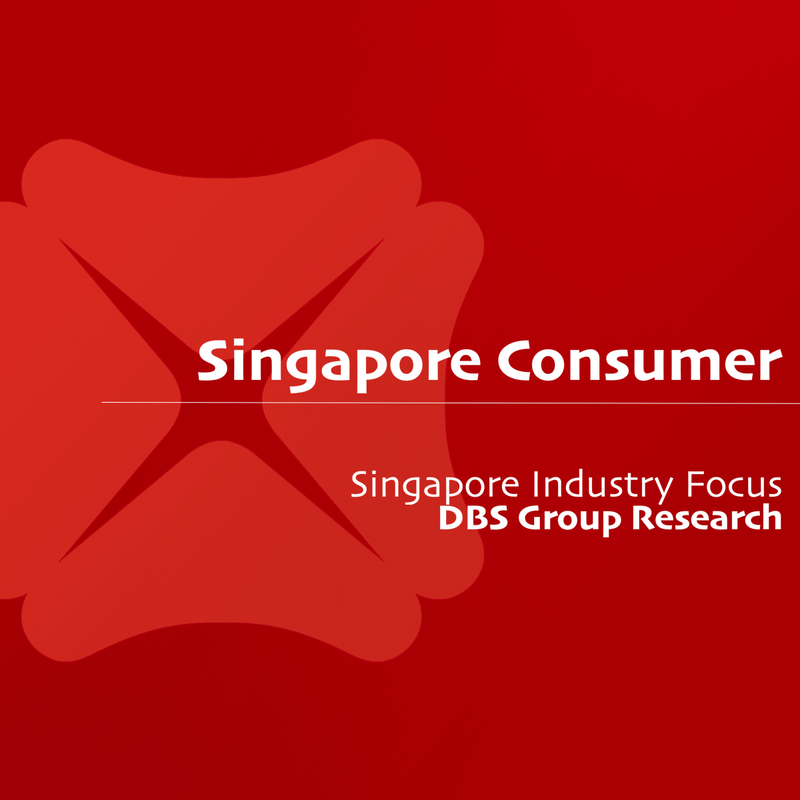 Most consumer companies in Singapore surveyed are close to the 40% service sector dependency ratio ceiling (DRC) threshold. Manpower restructuring is needed by most firms to adhere to stricter DRC threshold. Expecting less than 2.5% earnings downside and staff cost increase of less than 1% at 35% DRC. Select stocks with mild or no DRC impact, BUY for Sheng Siong Group, HRnetGroup, and SATS. New DRC ratios introduced in budget 2019. In the recent 2019 budget statement made by the Minister of Finance, foreign workforce quota will be tightened further for the services sector with reduction in dependency ratio ceiling (DRC) and S Pass sub-DRC. Service sector companies in Singapore do not have free reign to hire staff of all nationalities and are restrained by the DRC, which stipulates the maximum number of foreigners that service sector companies can hire, in relation to local Singaporeans. In certain instances, foreigners may be relatively cheaper to hire and can be more readily available to fill service roles in the foodservices sector. In addition to lower ratios, local workers in the sector must be paid above the qualifying salary to be counted towards the foreign worker hiring ratio, which is S$1,300 monthly starting from July 2019, instead of S$1,200 currently. While Singapore does not have a minimum wage in the services sector, this rule perhaps plays some role in helping to set a “minimum wage” for Singaporean workers. It also discourages companies from hiring Singaporeans at a nominal wage to boost local headcount, with the sole objective to increase absolute foreign worker count. Budget 2019 also extended The Special Employment Credit (for workers above the age of 55) and the Additional SEC scheme (for workers above 67) till 31 December 2020. This is to continue incentivising employers to hire senior Singaporean workers. We have found this scheme to be largely marginal for most companies at less than 1% of annual profit before tax. Industry roadmaps are guiding how companies operate in the future. Earlier in Budget 2016, the government announced the S$4.5bn Industry Transformation Programme to achieve maximum synergies in transforming industries. The programme integrates restructuring efforts, to address issues and deepen partnerships between the government, firms, industries, trade associations and chambers. We believe these initiatives will help companies to innovate and drive productivity. Food service to go manpower lean. process automation at back of house. These pillars are aimed to help companies achieve more manpower-lean formats while upgrading jobs and job satisfaction, without compromising on the quality and range of our dining options. Downstream F&B may have to improve staff productivity. Food service companies and retailers could benefit in the long term if they choose to implement technology to replace foreign manpower or other staff productivity initiatives. Companies could otherwise see slightly higher staff costs if they choose to hire more Singaporeans to directly replace reduced foreign manpower. Most companies we surveyed are currently close to the 40% DRC threshold. Most companies we spoke to would be affected by the DRC threshold. Companies tend to be near the 40% threshold, taking advantage to maximise the foreign worker threshold for various reasons. These include difficulty in finding supply of workers to fill certain roles and to a smaller extent, relatively lower cost. Only a handful of companies which we surveyed on the ground have adopted a pro-Singaporean hiring stance, which sees them well below 40%. These companies now find themselves without pressure to change. For companies between the 35-38% threshold, the strain on the incremental staff costs going forward would be less demanding than those at 40% since they are closer to the ultimate threshold than the rest of the companies. Challenge is in finding local staff, especially for more traditional food service companies. The key challenge for companies especially in food services is finding local Singaporean staff to fill roles at the food outlets. Yet, there is only a certain extent to which automation can help to replace service roles at food outlets, especially for more traditional businesses like coffeeshops. Theoretically, foreign manpower will be replaced by automation in this case. But the reality is if automation is not ready, replacement of foreign with local staff is still required, which leads to higher staffing costs especially if the short supply of local workers persists. replace foreign headcount with local workers. Both these options would increase depreciation costs and/or staff costs or both. Labour costs are typically c.30% of sales and c.44% total opex. Rent and labour costs are the highest components of food service and retail sector companies’ operating expenses. They typically account for about c.75-78% of total opex of Food service companies. Due to the service-oriented nature of this sector, labour has always been a key resource along with raw materials, real estate and rents. Since labour is a key operating cost component, changes in DRC would typically affect the average company. Based on our data, Food services labour costs are c.44% of total opex compared to c.34% for rent expense. For food retailers, staff costs are typically 10-12% of sales and c.42% of total opex. Cost between foreigner and local workers are largely similar at Singapore foodservice listcos. We have found that the cost differential between hiring a local and a foreigner to be largely similar for most listed companies, with the Singaporean staff paid slightly more than the cost of foreigners. For some companies, take home basic wage of a foreigner may be comparatively lower than locals. But with worker levies and accommodation benefits offered to foreign staff, the cost to the company per headcount between hiring a local and foreign staff is largely similar. Some companies compensate the same wage for all staff but, allow foreign workers to clock relatively higher working hours than local staff. Other companies have a clear wage disparity between local and foreign staff, with no accommodation benefits. DRC reduction will be manageable for most large companies. Most find it manageable given the time frame to adjust to lower DRC ratios. Even though larger companies including Jumbo Group, Koufu Group, BreadTalk Group, Sheng Siong Group and Dairy Farm International have regional operations and at least 600 to over 1,000 in total staff strength, they also tend to have more resources to implement technology to help reduce their manpower requirement. Besides, due to the small differential in staff costs for these companies, we expect cost increase to be marginal. Higher proportion of overseas operations should cushion the impact of higher wage cost in Singapore as well. We believe overall impact to wages should not be significantly higher. Basic wage disparity between foreign and local worker can be as high as 50%, with differences largely offset by levies and other benefits. We see wage disparity between a local and a foreigner for service staff ranging from 20% to 50%. According to m-o-m wage data for 2017 across several common service sector roles in retail/foodservice, average median gross wage ranges from S$1,400-S$3,357 per month, averaging at S$2,170. Wage disparity between 25th and 75th percentile can be as much as 38%. Adding levies ranging from S$300-800 per month to the 25th percentile wage range puts foreign workers roughly on par with Singaporean workers. Impact of DRC change is greater for smaller local companies reliant on foreign labour. We believe more impact of the DRC change will be felt for smaller local companies with comparatively lower headcount, less aggressive staff benefits and smaller operations. The key is for these smaller companies to increase productivity with technological innovation and displace their burden for manpower requirement, in line with the industry transformation map’s objectives. Some companies face challenges keeping to the S pass sub ratio as these are mid-level skilled workers such as chefs, which are difficult manpower to replace. Floor service staff are largely work permit holders, which essentially can be replaced with self-service, machines and robots. Companies can also be nimble in using part-time Singaporean staff to supplement their manpower needs. Part-time staff hired above the qualifying salary of S$1,200 (S$1,300 from July) can also be counted towards the foreign worker hiring ratio. Technology to displace labour and human touch. Improvements in technology have perhaps helped to reduce reliance on labour. Automation is fast replacing labour with self-service kiosks and payment systems, reducing the need for counter staff. Staff could be upskilled or redeployed for other functions, increasing productivity over the long run. In the meantime, depreciation for implementing machines and technology would hit profitability, offset by labour cost savings, if any. With more machines interacting with customers, there will be less need for labour and fewer human touchpoints, which we believe is fine for most mass-market, quick and casual dining formats. More scope for self-service, machines to be widely deployed. There is scope for every company to implement more technology in areas where human touch or human intervention could be eliminated. Self-payment machines are now a common sight in supermarkets and fast food restaurants, reducing the demand for cashiers. Self-check in machines at Changi Airport is also helping ground handlers like SATS to reduce headcount and human error at check-in rows. In extreme cases, food preparation process and waiting on diners at restaurants could well be fully done by machines. New Decathlon outlet at Kallang has hardly any staff manning checkout counters with mostly self-serviced checkout machines for customers to make payments. In particular to the foodservices sector, some companies face constraints and are unable to fill positions with local workers. In such an instance, the key is to replace foreign headcount with machines wherever possible. Simplifying processes is another way to increase value add per employee. For food services with central kitchen functions, more food preparation can be centralised, reducing labour requirement at the outlets. In optimistic cases, that reduces kitchen space at the outlets, allowing for more revenue-generating table space for the operations. Slight decline in earnings in our simulation. In our staff replacement scenario analysis, the full impact over the complete 5% reduction in DRC is a staff cost increase of 0.3-0.4%, accounting for about 0.7-2.2% reduction in earnings. The result is minimal as it first reflects only the Singapore side of staff costs, and secondly, only a 5% reduction (from 40% to 35% DRC) in foreign headcount within Singapore. Expect the impact to be less than this if firms make do with lower headcount or increase sales faster than staff costs. Assume full replacement of foreigners with local staff. Although unrealistic, we have assumed full replacement of foreigner with Singaporean staff, for a sense of how replacing foreign workers with Singapore workers might impact earnings. Our other key assumption has wage disparity between a local and foreign staff assumed to be at about 8% (with levies), with cost increase assumption at 10% for switching from foreigner to local staff allows for higher bargaining power of Singaporean staff due to supply constraints, offset by savings in foreign worker levy. Companies’ profits minimally affected, more jobs for Singaporeans. direct replacement of foreigners with Singaporeans. We believe hiring will now be focused more towards local Singaporeans no matter how challenging. At the end of the day, there would be more jobs available for Singaporeans and at a slightly higher wage, provided technology does not replace labour requirement entirely. Maintain bottom-up stock-pick strategy, DRC impact on earnings is insignificant. Investors can be assured that there is insignificant impact of DRC on earnings. In addition, companies with overseas exposure and DRC of below 35% would be least affected by the new rule. Our stock selection strategy will continue to be on a bottom-up basis. SHENG SIONG GROUP LTD (SGX:OV8) (Rating: BUY, Target Price S$1.25), automation kicking in would help ease the reduction of foreign labour. Sheng Siong has been increasing productivity with automation, in particular to hybrid self-payment machines at check-out counters. This automation initiative will cut down requirement for labour over time. Moving to full self-payment system would also reduce some of the counter staff who are helping shoppers with scanning of shopping cart items for self-payment. Due to automation initiatives, we believe they would see minimal impact on wage pressure over the short term. We like the stock for its earnings stability, net cash balance sheet, and cash-generating abilities. Growth going forward will be driven by new stores. Maintain BUY. KOUFU GROUP LIMITED (SGX:VL6)’s (Rating: BUY, Target Price S$0.80) DRC ratio is extremely safe. Koufu Group is safe from increases in DRC as it has a ratio that is way below the announced limits. In any case, Koufu Group is centralising its dishwashing function into its new integrated facility. That would help to alleviate burden in looking for dishwasher labour supply, which is becoming increasingly difficult to procure in our view. At its outlets, Koufu Group already has automated tray return robots plying its foodcourts, to which customers can return trays by themselves, and to reduce the burden on tray clearing staff. We advocate a BUY for Koufu Group on attractive valuations and catalyst in economies of scale from new integrated facility. Share price has recently risen by c.20% in recent trading sessions. While there is still upside to our Target Price at current levels, we do not recommend initiating new positions for now, due to the limited upside. Slight staff cost pressure on JUMBO GROUP LIMITED (SGX:42R) (Rating: HOLD, Target Price S$0.44) but will be manageable. We see slight pressure on staff costs for Jumbo Group as it would have to navigate productivity improvement with the change in DRC. Jumbo Group’s business comprises of 20% outside of Singapore and therefore the full impact of DRC in Singapore would not be felt in its entirety across the group. Floor staff are largely service oriented, and we believe the staff cost impact would be felt for this function. Already, Jumbo Group is centralising more of its production process at the central kitchens to reduce processes and kitchen staff at its outlets. A smaller kitchen size at the outlets also gives way to more revenue-generating dining space at the outlets. These are on top of staff productivity initiatives including multi-tasking and utilising more local staff. There is scope for more machines in the ordering and checkout process as well. With new stores opening costs in focus, we are neutral on the stock for now. Slight impact on BREADTALK GROUP LIMITED (SGX:CTN) (Rating: HOLD, Target Price S$0.92) but will be mitigated by high overseas exposure. Like Jumbo Group, BreadTalk Group will also need to make adjustments for lower DRC in Singapore. BreadTalk Group’s advantage is that it has more than 40% of revenue derived from outside of Singapore, the highest among listed peers. It will undertake both productivity improvement initiatives and replace foreigners with locals to meet the lower DRC ratios going forward. We believe impact to staff costs is also marginal due to its overseas exposure and slight adjustment to higher wages of Singaporeans. We continue to be neutral on BreadTalk Group as we anticipate a mixed earnings growth outlook ahead. We see longer EBIT breakeven for 4orth division as it ramps up, start-up costs for second Din Tai Fung in London and poor performance of China Bakeries weighing on earnings growth going forward. DRC has no impact on THAI BEVERAGE PUBLIC CO LTD (SGX:Y92) (Rating: BUY, Target Price S$0.87): Although Thai Beverage has business in Singapore, its operations are relatively small compared to contribution from Thailand and Vietnam’s Sabeco. Business in Singapore is largely facilitated through partnership with F&N (SGX:F99), where the latter is a distributor of Chang Beer. Thai Beverage is hence largely unaffected by the DRC policy. We are positive on Thai Beverage over the long-term prospects as a regional beverage player. SATS LTD. (SGX:S58) (Rating: BUY, Target Price S$5.59), comfortable for now: We do not see SATS at risk for now as SATS has been automating for some time. There is partial impact of service DRS on SATS, since staff at its kitchens are not part of the Service Sector threshold (manufacturing sector) leaving gateway staff in Singapore to be considered under the Service sector’s threshold. SATS’s automation in gateway has been well underway, with automated self-check-in and bag drop machines installed at departure halls. As such, we see minimal impact of the new DRS on SATS for now. No impact on HRNETGROUP LIMITED (SGX:CHZ) (Rating: BUY, Target Price S$1.05). We believe HRnetGroup will be a beneficiary over the long term as it does not have foreigners for its temp/contract segment. Staffing requirement for companies will have to lean towards Singaporeans. In any case, HRnetGroup is stronger on the professional staffing business (which contributes 66% of gross profit). Each professional placement yielded close to S$11,000 of gross profit in FY18, way above the S pass monthly salary threshold of S$2,300. Besides, HRnetGroup has no S pass and work permit placements for temp/contract workers. Therefore, there is virtually no impact of DRC changes on HRnetGroup. We have a BUY call on the stock for attractive valuation and growth in job placements particularly from China. DAIRY FARM INT'L HOLDINGS LTD (SGX:D01) (Rating: HOLD, Target Price S$8.44) will be minimally impacted. We estimate Dairy Farm International to have about 20% of sales in Singapore and therefore overall DRC impact will be mitigated by overseas exposure. Dairy Farm International has implemented self-checkout counters at its supermarkets, which will reduce reliance on labour at its outlets. We believe more automation can be introduced at its distribution centres which can further reduce labour. Due to the weak outlook, we have a HOLD recommendation on the stock for now.